W Magazine recruits two of modelling's most beautiful and consistent key players for an editorial shot by Lachlan Bailey centred around the timeless appeal of biker chic. 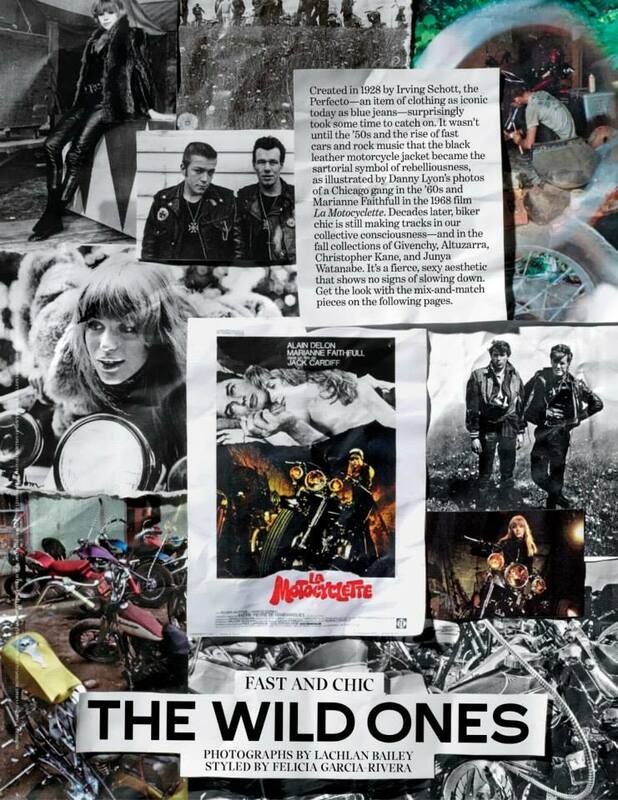 The enigmatic Edita Vilkevicuite is joined at the hip by the equally compelling Magdalena Frackowiak wearing biker-inspired ensembles styled by Felicia Garcia Rivera with individual pieces from the Fall/Winter 2013 collections of Alexander Wang, Saint Laurent, Zadig & Voltaire, Theyseken's Theory, and Rag & Bone. Bailey harnesses the unique feeling of freedom on the wide open road with the models sporting windswept tousled tresses, coal smudged eye make-up, and an air of carefree abandonment. Hailing individually from Poland and Lithuania, Frackowiak and Vilkevicuite have enjoyed similar high fashion and commercial successes since entering modelling's fray almost a decade ago. Vilkevicuite is the current face for Calvin Klein Eternity Aqua Fragrance and Mango while Frackowiak continues to be an editorial tour de force in publications including i-D, Love, and the French, Japanese and Potuguese editions of Vogue.